Welcome to the 19th Annual PAWS Chicago 5K Walk/ Run, presented by VCA! This is Chicago's LARGEST dog-friendly event, benefiting PAWS Chicago, for animal lovers and their canine companions. This event welcomes more than 6,000 human and 2,800 dog participants who come together and take steps to save the lives of homeless pets. In addition to the main event, participants will enjoy live entertainment, food & drinks, free giveaways and more! This annual celebration is critical in raising the funds necessary to ensure PAWS Chicago can continue to save and care for thousands of homeless pets each year! The PAWS Chicago 5K Walk/Run is Chicago's LARGEST dog-friendly charity walk, as well as one of BizBash's Top 100 Events in Chicago and Top 10 Athletic Events in 2016, 2017 and 2018! Participants can pick up their shirts, bibs, Hero Hangout wristbands & cinch sacks (if qualified) and race day information at our Packet Pickup on Friday, May 31, 4-7:30pm, at the PAWS Chicago Lincoln Park Adoption Center, 1997 N Clybourn Avenue. Participants are welcome to pick up items on behalf of other team members! For those unable to attend, you will still be able to pick up your items on event day at the registration tent. Please note that we will NOT mail out shirts after the event for those who do not pick theirs up (unless registered for the Cat Nap option). to join this photo! Even if your PAWS cat/dog may be at home, we still invite you to join us! Please note that because we use the same route, RUNNERS may begin lining up at 8:45 a.m. and are allowed up front. WALKERS must line up BEHIND the runners. NO DOGS ARE ALLOWED IN THE RUN PORTION! WALKERS and their dogs must wait until after the runners have started before beginning the walk portion (approx. 9:05 a.m.) Strollers and/or wagons (for both humans and dogs) ARE permitted but ONLY IN THE WALK portion of the event. Please note that the event site is on grass and some parts of the walk/run route is on gravel. Will be posted here once finalized. 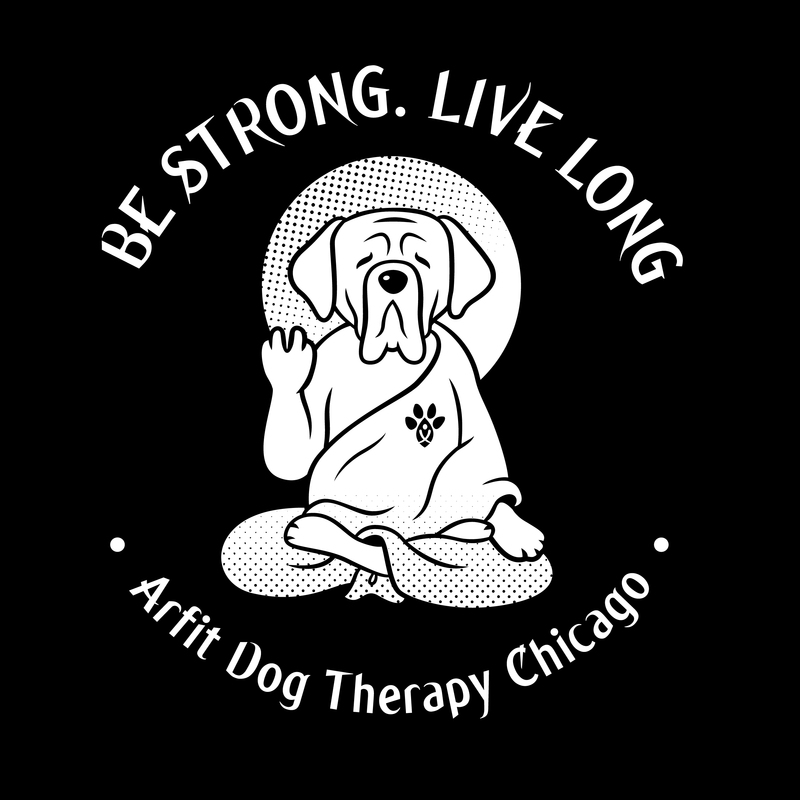 Pamper your pet in The St. Clair Hotel Doggy Oasis, featuring dog pools, complimentary dog massages by Artfit Dog Therapy Chicago and doggy smoothies from Protein Bar & Kitchen! For your pet's first aid needs at the event, please visit our Pet First Aid Station, the MedVet tent. For all participants we have a complimentary Gear Check that you may use on event day that is open until 11AM. Free STREET parking is available at Montrose Harbor. Please pay attention to any signs noting any no park zones (e.g. on bridges). Because Montrose is still open to the public on that day, participants are encouraged to arrive early and to carpool. Divvy, walk or bike (if possible) to allow adequate parking for participants traveling with pets. Parking LOTS do require payment.